If you have any questions or comments I would love to help. I look forward to hearing from you! I live in a small community in Southern Manitoba, it is a wonderful place to raise my family. I am a Mother of two rambunctious children and wife to the most supportive husband. A man who doesn’t bat an eyelash at his wife leaving him with two kids, usually in the middle of the night, is my kind of man. My kids and I are lucky to have him! 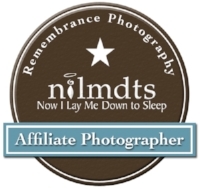 On top of my photography work, I keep busy with my other career as a Registered massage therapist. I am also a trained and experienced birth doula. I love yoga, music and junk food. I discovered birth photography in 2010 while pregnant with my first, and fell in love with it immediately and completely. I began my professional photography career in 2015 after attending and documenting my first birth. This genre of photography lends so well to my love of sharing women’s stories. My recovery from PPD & PPA after my second was what gave me the push to dive into this career and it has fueled my passion for normalizing birth and motherhood in all it’s beautiful, messy glory. Soon after documenting my first few births, I began my Beautiful Momma Project, a movement designed to share mothers’ stories. This project has been exhibited at local galleries and was well received by our modest community. This project reflects my soul. I am currently completing a birth photography mentorship program with the lovely Morag Hastings from Apple Blossom Families, and have enjoyed watching myself grow. As a birth doula and mother myself, I understand the physiological and emotional needs required in the birthing space. My 10 years of massage therapy experience, knowledge of the human body and confidence bring something special to my hands-on support. I respect the birthing process and exactly what that may look like for you and your family, no matter how it happens. I’m there for full family support, as a fly on the wall to document your day, or a combination of both. I would love to meet with you and your family to discuss your birth wishes and desires and to show you how I can be a part of that process. Check out my work, shoot me an email and let's set up a time and date!